Bertram Ekejiuba Bright Nwoke Professor of Public health Parasitology & Entomology, Department of Animal & Environmental Biology, Imo State University Owerri, Nigeria. Chinyere Nneka Ukaga Professor of Public Health Parasitology, Department of Animal & Environmental Biology, Imo State University Owerri, Nigeria. Tropical diseases are diseases that are prevalent in or unique to tropical and sub-tropical regions. Large proportions of the people in the world inhabit tropical countries which include vast geographical areas. The World Health Organization and other International Health Agencies have identified a group of 13 tropical infections as the ‘Neglected Tropical Diseases’. These diseases affect the world’s poorest people living in remote and rural areas of low-income countries in Sub-Saharan Africa. They inflict suffering causing disabilities, disfigurement, more poverty, as well as social stigma. The pathogen groups that are given research priorities include: protozoan parasites, helminthes as well as bacteria. In the last decade, there had been the tendency of increased intentional focus on HIV and malaria with the resultant effect that more attention is given to tropical diseases that result in mortalities on a global basis. This book written by two world acclaimed parasitologists has been designed to meet the need for a text which covers in details most of the protozoan parasites that cause human diseases in the tropics. The contents are split into 7 sections in addition to appencies that take one through the glossary of parasitology. It is an ideal text for higher institutions, medical schools and research Institutes. The aim has been to present the basic principles of protozoan parasitology together with the biology, diagnostic as well as control techniques of the diseases caused by these protozoans. The special feature of the text is the use of illustrated diagrams which further enhances the usefulness of this book to students, medical laboratory scientists as well as other health practioners in the field. 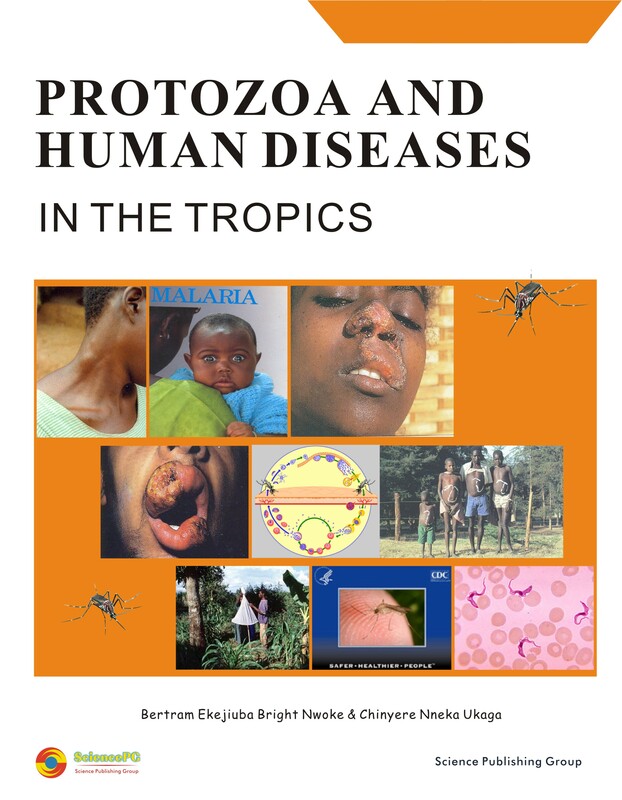 ‘Protozoa and Human Diseases in the Tropics’ provides a general text as well as a field reference of long-term usefulness. I believe that this book will be of lasting value.